If there is one thing that entrepreneurs know is that to remain successful, you must continuously evolve. 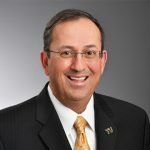 In this vein, Frank Bonsal III, director of venture creation, is leaving his full-time position at Towson University. This evolution of Frank’s career is bittersweet for those of us that have worked alongside him for the past five and half years. While he is leaving his leadership role with TU Incubator, he will remain actively involved in supporting entrepreneurship at TU and the edtech ecosystem, which he has helped to create, in exciting new ways. Frank is returning to his roots as a venture capitalist to support the growth of edtech companies. Frank came to Towson University with decades of experience in venture capital. 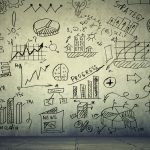 He was a partner with both New Markets Venture Partners in Fulton and Bonsal Capital, where he focused on early-stage investments in education technology (edtech) and service companies. 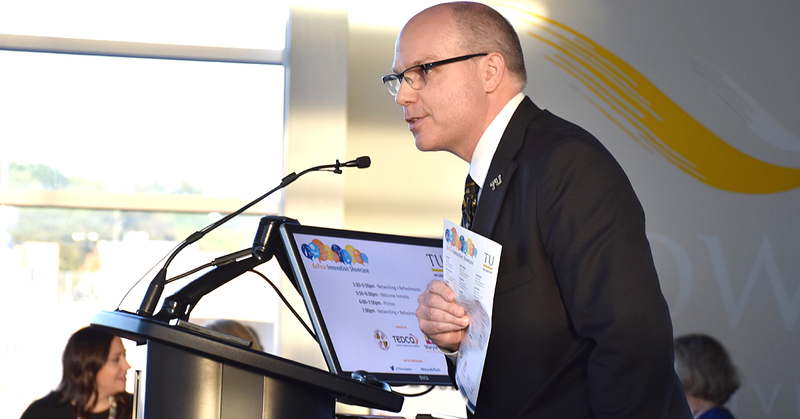 Frank started his career at TU in early 2013 when he was hired to lead what was then called the Towson Global Business Incubator and was named the university’s first director of entrepreneurship. A year later, the incubator was renamed TU Incubator and tilted to supporting startups that focused on edtech. His strength and experience in new business mentoring, education, and entrepreneurial networks made him an exceptional choice for what was a new position at the time. This tilt to supporting edtech companies grew out of TU’s longstanding service to teacher preparation and Frank’s roots in education; Frank began his career as a educator. During his time at TU, he took his passion for teaching and has spent his time mentoring, launching, and supporting edtech companies. In 2017, TU Incubator hit a milestone and became the largest cluster of edtech companies in Maryland. He’s a recognized leader in the edtech community and is a key voice in helping to create an edtech hub in the Maryland-DC region. Since its founding in 2007, TU Incubator has supported over 100 companies, utilized hundreds of TU student interns, created over 1,000 jobs, attracted over $40 million in outside capital, and induced over $150 million in economic impact. In fact, much of this growth has happened under Frank’s transformational leadership. Under Frank’s leadership, TU Incubator’s founders became considerably more diverse. Frank has also worked to catalyze entrepreneurship across the Towson University campus. He was instrumental in developing and launching the Student Launch Pad, an outlet for students to develop entrepreneurial ideas and to strengthen innovative thinking. In 2014, working with a committee of faculty, students, and staff from across campus, the Student Launch Pad moved into a new space on the fourth floor of Cook Library. Towson University has long worked to strengthen ties between the work being done on campus and what’s being done in our surrounding communities. Since launching, TU Incubator has been a key component in creating synergies between TU and our partners in Baltimore County. Just last week, TU announced that it will transform the historic Armory in uptown Towson into a hub for partnerships, entrepreneurship, and community connections. Frank has long worked with the Baltimore County Department of Economic and Workforce Development on strategies to engage TU Incubator member companies with the larger business community. This has helped to develop the new place-based strategies that will be starting up in this new Armory space. So, what does all this mean for TU Incubator and the success we’ve seen under Frank’s leadership? For that I look to an analogy he often uses. Frank likens startup growth to a three-legged stool, held up by support, distribution, and capital. 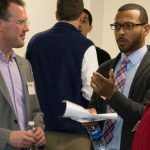 TU Incubator, and Towson University more broadly, have the structures in place to provide top-level support for startups, student entrepreneurs, and new place-based initiatives. The distribution model is ever evolving. We continue to strengthen our partnerships at the county and state levels and with key industry sectors to create strong pathways for our entrepreneurs to get their products and services into the hands of customers. Frank will be moving to that third stool leg—capital—to continue what he started at TU Incubator, supporting the growth of startups who are creating new technologies that help to impact education in new and exciting ways. Under Frank’s leadership, we have seen expanded programming opportunities for students, the growth of TU Incubator, and new partnerships created with businesses and economic developers to create an entrepreneurial hub in our region. I thank Frank for this and look forward to working together to create new opportunities for our growing ecosystem. NextDoes This Blog Post Spark Joy?